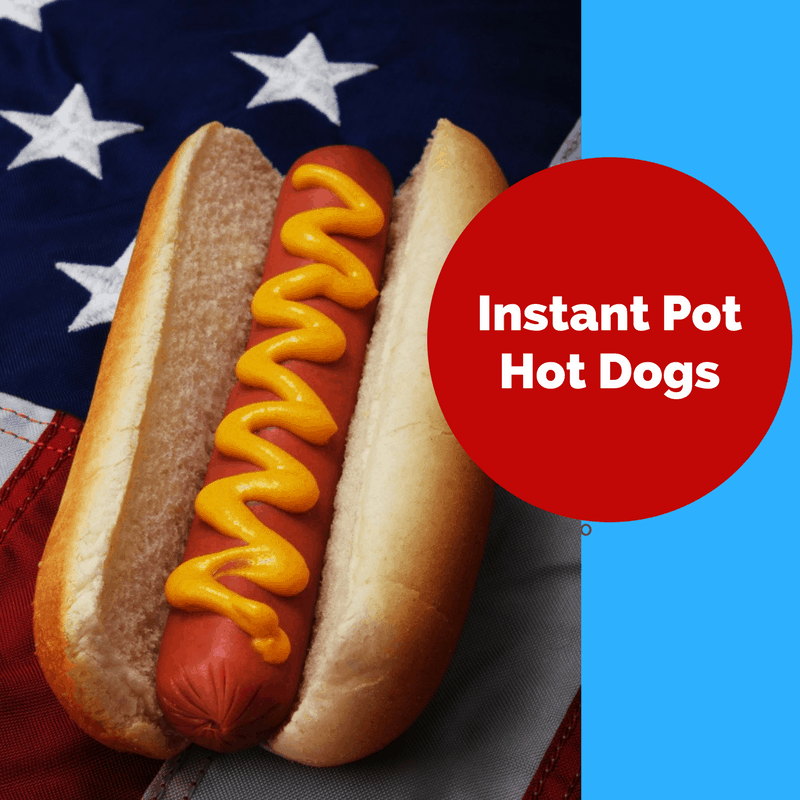 Instant Pot-Hot Dogs, Enough For A Football Team or a Hockey Team! Here you have the most simplest of recipes. I made this for my son’s hockey team, for a football party (does that sound strange). It’s easy, it’s simple and it works. So, what’s better for a crowd? We are trying lots and lots of hot dogs for lunches nowadays. I hope you will come back and look for our flavors. My son really wants a Chicago Dog. Hope you and yours enjoy this recipe! Add all of your ingredients into your Instant Pot. Then set the manual high pressure for 3 minutes. If you are using them from the refrigerator, or thawed, adjust the time to 1 minute on high pressure. Set the valve to sealed. 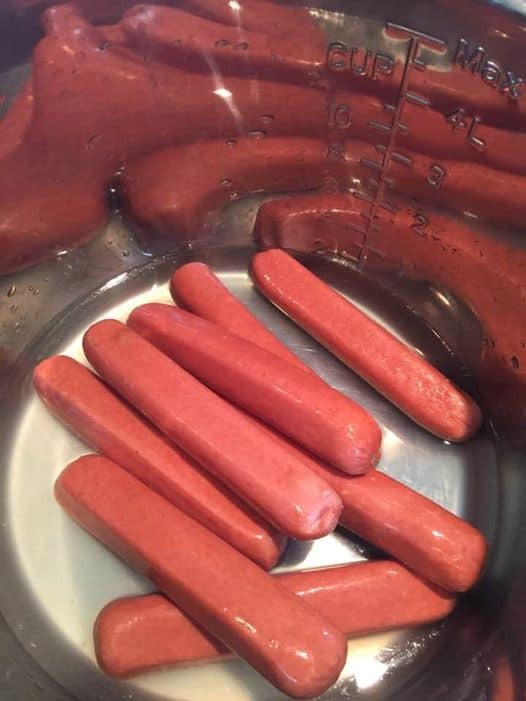 Optional Serve with a hot dog bun and allow kids/adults to garnish as they would love.